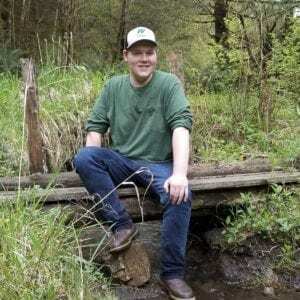 WOODLAND — It has been an exciting year for Cooper Kaml. 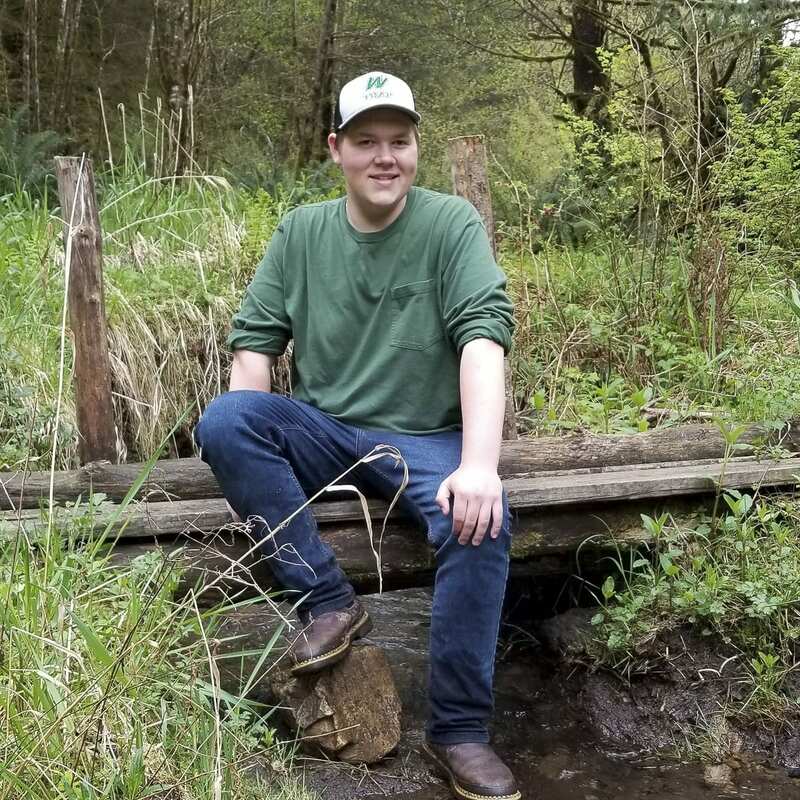 As a senior at Woodland High School, Kaml won the 2018 state championship at the Future Farmers of America competition in March. Now, as graduation fast approaches, Kaml is looking forward to achieving both his long- and short-term goals. The 2017-18 school year was Kaml’s first year competing in the Future Farmers of America convention. 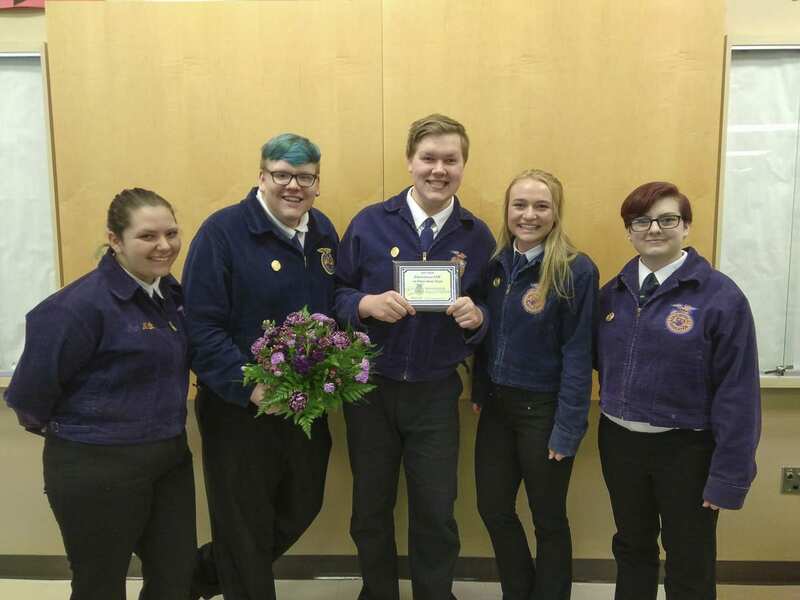 As a self-described “novice,” he spent long hours studying and preparing for the state competition, which involved various areas of study ranging from floral design to horticulture. The competition functioned in four stages, including a math and problem solving portion, a teamwork-oriented phase in which Kaml acted as team leader for his group, a plant knowledge contest, and lastly, an individual practicum, in which students can compete in one of many chosen topics. When Kaml won the state title, the numbers spoke for themselves. The point spread between second and third place was a mere five points, while the difference between second and first place was 69 points. Although his hard work and knack for working with plants makes his victory a no-brainer in hindsight, Kaml claims that it came somewhat by surprise to him. Although his goal from the beginning was to win the state competition, Kaml knew the odds going into it. In fact, according to Kaml, a novice competitor placing first in the state is almost unheard of. Vetter further explains that the state championship is not the end of the road for Kaml and his peers; because his first-place title helped the rest of the Woodland High School FFA team to be the top team in the state, the group will be headed to the national competition in Indianapolis, IN, this October. In the meantime, Kaml has a lot to look forward to; with graduation on Fri., June 15, he says he plans to use his newfound freedom to attend Lower Columbia College and pursue a degree in business while also seeking out other interests. Beyond college, Kaml says he wants to use his business degree to continue working in the horticulture and growing industry. Ultimately, he sees himself managing a greenhouse chain, which Kaml says is a good balance between profitable and interesting. Outside of studying and working with plants, Kaml is also an accomplished musician, having begun playing clarinet in middle school before switching to saxophone shortly thereafter. Kaml spent his high school years playing in the audition jazz band, and currently plays first alto saxophone. In the last band concert, he even had a featured solo. Community is also of the utmost importance to Kaml, who also involved himself throughout high school in various service-related clubs and organizations. Even more important to Kaml than his future career is his desire to be actively involved with the community around him.